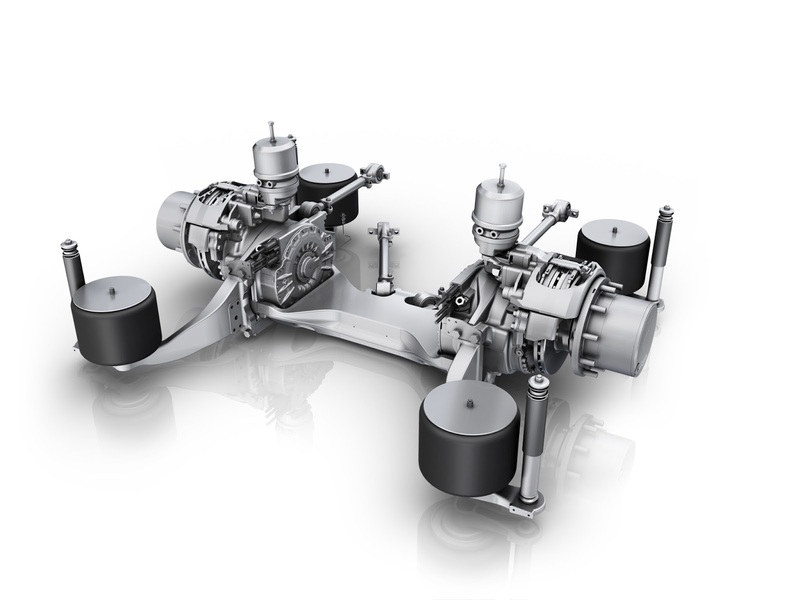 ZF is at the core of a next generation of public transport, with the global drive line technology specialists providing local company Bustech with electric drive axles for Australia's first all-electric city bus. Long-time partners in diesel powered bus projects, ZF has previously supplied Bustech with products such as transmissions, axles, steering and suspension systems, with the new project paving the way for zero-emissions operation along busy urban roads. The bus features an AVE130 electric drive axle, which dimensionally fits into the same envelope as a conventional drop centre axle, making the system simple to integrate into existing designs. In Bustech’s configuration, the AVE130 utilises pure battery power, although the system can be used in serial as a hybrid with a conventional combustion engine, or via alternate power sources such as fuel cells or overhead lines. With no requirement for a traditional transmission, the electric axle provides smooth acceleration in all driving conditions. “It’s exciting times for ZF Services in Australia, particularly with Bustech, and the bus industry in general,” said Gary Bain, ZF Services Australia OE Business Manager. “Working closely with Bustech and their design and development partners such as the CSIRO and Swinbourne University, we have the finished vehicle today, the all-electric bus ready for the market place. Designed for axle loads of up to 13 tonnes, each wheel is fitted with a high-revving (11,000rpm) asynchronous electric motor, which provides maximum drive power of 240kW, while continuous power of 120kW is available per axle. Like many electric engines, the motors have strong torque characteristics, with output peaking at 21,000Nm per axle. This makes the system ideal for stop-start city traffic, which also takes advantage of the systems power regenerative braking, which tops up batteries while in operation. 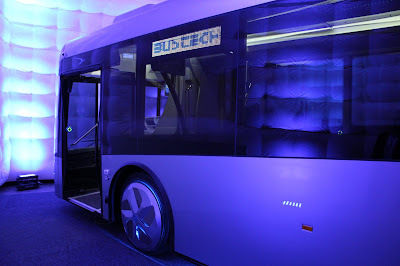 Because there is no requirement to provide space for a diesel engine, Bustech has been able to employ an interesting new cabin design. The AVE130 axle uses widely available existing components such as standard wheels and tyres, brake callipers, ventilated brakes discs, as well as wheel bearings and seals, making the units extremely service-friendly. In operation, the axle paves the way for improved torque distribution which in turn reduces tyre wear. The system also includes sensors for temperature, ABS, and speed. Operational targets between recharges for Australia are 300km, and 200km in Malaysia, with trials set to commence in September. Outside of the electric axle, the new design also utilises a conventional RL85A low-floor front axle, and many modern innovations, such as touch screens, LED lighting, as well as all-electric doors and air conditioning. An example of the forward thinking of the design, the bus utilises rear vision cameras, which provide a wider field of vision, while also streamlining the bus exterior, saving drivers from having to make mirror adjustments. Previous collaborations between Bustech and ZF Services Australia have included projects such as the Bustech CDI, the world's first low-floor twin steer double decker bus. The project was developed in part due to Australia’s front axle load regulations, which limit design flexibility, especially for a city bus with a passenger capacity of around 90. While the steering setup is common in trucks, ZF Services worked closely with Bustech to develop the system to allow for easy access throughout the cabin for passengers, while the 12.5 metre package has considerable operational cost savings over conventional articulated buses.